A cheat sheet is a short and clearly written notes, using a few words as possible to give the necessary information. In other words, the notes are compressed in order to be brief. Well, that’s cheat sheet literally, but in internet language, a cheat sheet is a list of shortcut tools used on the web to achieve a specific task. 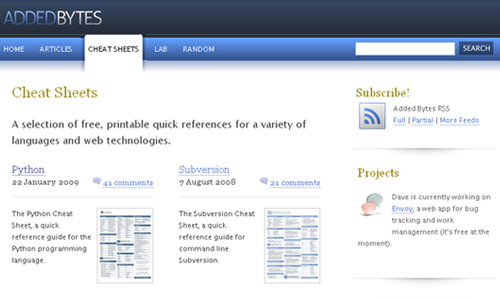 There are many computer applications that have included cheat sheets in their documentation. Keystroke or menu of commands serve as a reminder for web developers to make their work easier because it will help them save some extra effort from looking into the entire manual to search for the keystroke required to execute a command, like for example locking your window. We have collected another set of useful list that will allow you to browse the web or explore your computer, computer applications to their full potential. 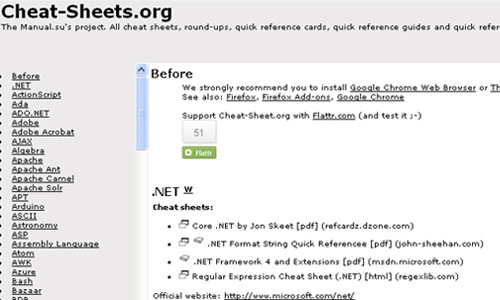 Here is a List of Websites Where You Can Easily Download Cheat Sheets. Print it and stick it near your computer for easy access. 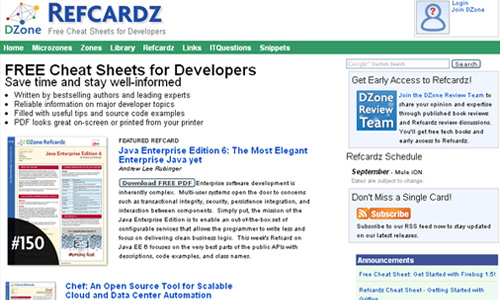 DZone’s Refcardz is a helpful tool for developers which offers free cheat sheet downloads that does not require any registration to do it. 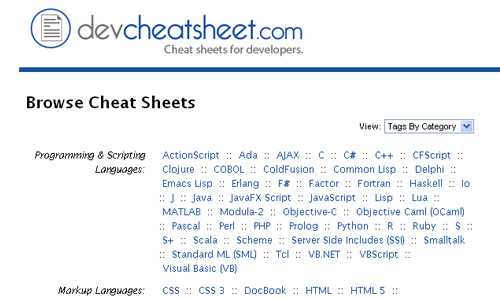 Added Bytes presents the work of Dave Child showcasing a collection of cheat sheets, scripts and other useful resources for developers which can be downloaded for free. 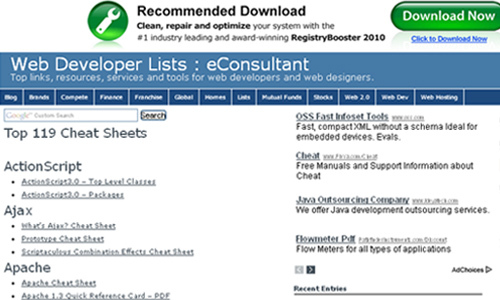 DevCheatSheet.com is a free online centralized directory of cheat sheets for just about any programming language for which you can freely download and print. 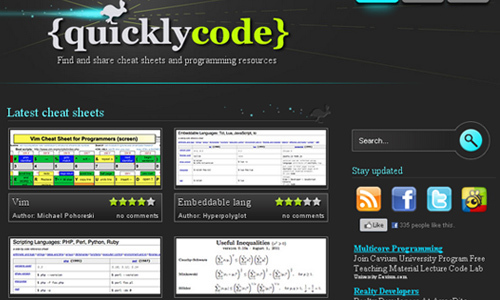 QuicklyCode is a web gallery of cheat sheets, infographics and other resources for programmers, developers and designers. 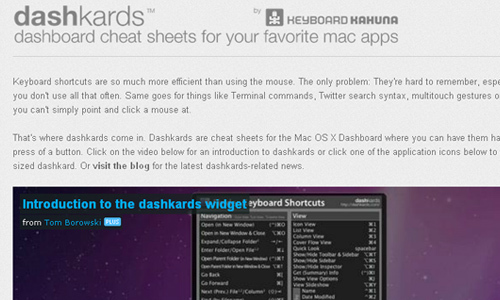 Dashkards is a great website for web developers and web designers where they can easily browse and download cheatsheets for the Mac OS X Dashboard. Cheat-Sheets.org provides links to over 100 cheat sheets, roundups, quick reference cards, quick reference guides and quick reference sheets. 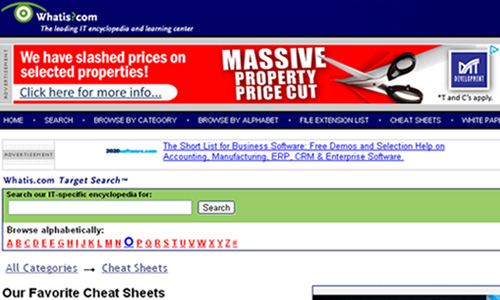 In this site, web developers can find top 119 cheatsheets. Whatis showcases a complete cheat sheet and quick reference guide covering the latest technology trends. 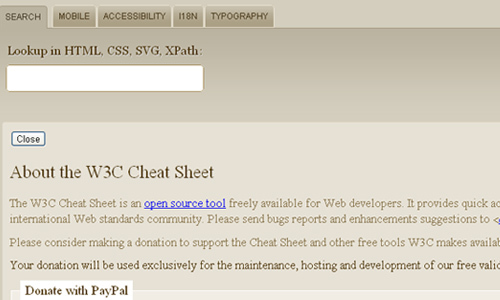 The W3C Cheat Sheet is an open source tool available for Web developers which allows free download of cheat sheets. AjaxCase is a place for the best collection of Ajax examples, demos and cheat sheets around the web. 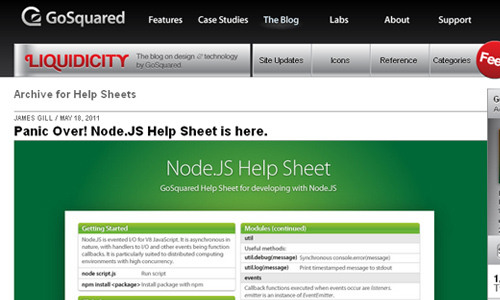 GoSquared offers excellent and thorough HTML cheat sheet for beginners which are free for anyone to download. 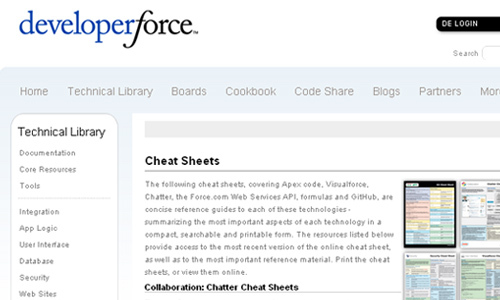 DeveloperForce also offers a lot of cheatsheets for web developers. Cheers for posting this, really useful.